In Winter Season people need winter cloths or Woolen Clothes. 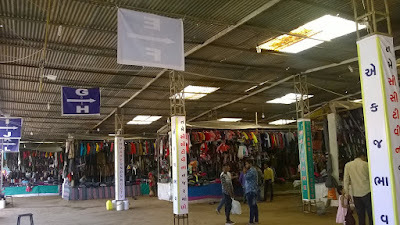 The Tibetan Refugee Sweater Market is a one stop solution for woolen garments and accessories. 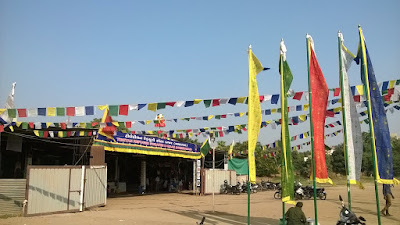 Though Tibetan markets are seasonal in nature they seldom change their location of tent. So next year you can easily locate them near their present location. After Chinese started dominating Tibet, Tibetan refugees migrated to India and Nepal bringing along with them their expertise in making woolen sweaters and rugs. They also migrate to different parts of the country, including Mussoorie, Darjeeling, Bangalore and Shimla. 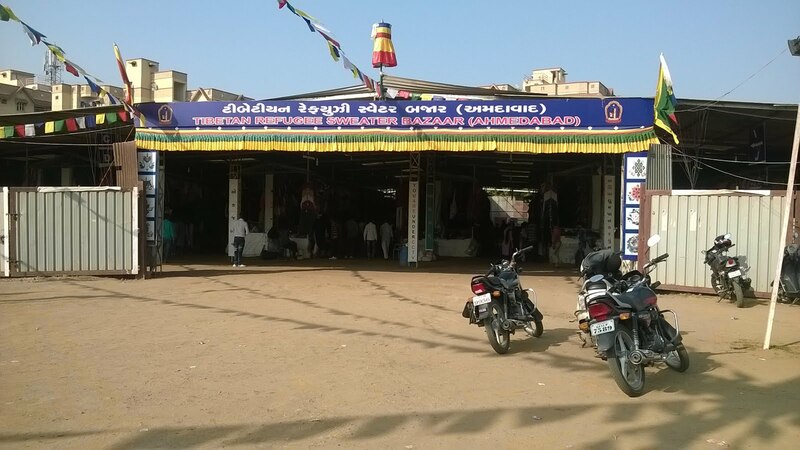 They find Gujarat best place for Business , so much that the community is even picking up on the language to make dealing with customers easy. The market is already receiving nearly 5000 customers every day on an average. 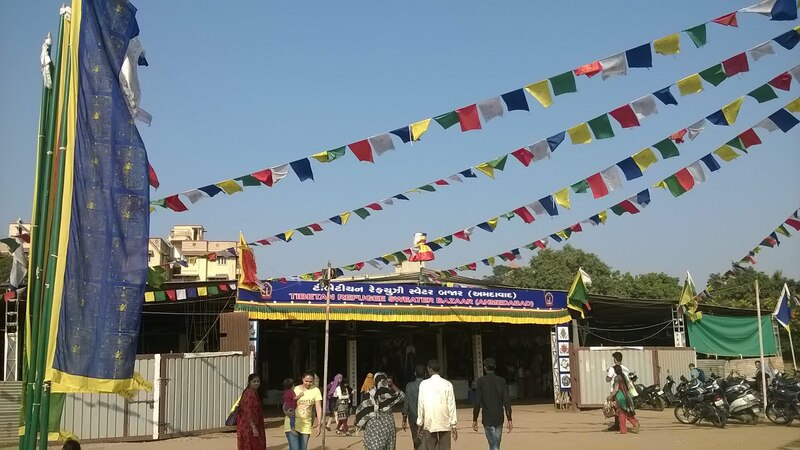 Every year the market attracts people of Ahmedabad, there is a lot of rush in Tibetan Refugee Sweater Bazaar till first week of February. Ladies Sweaters, Woolen Tops, Skirts, Leggings, Purses, Bags, Winter Shoes, Shawls and Stole to men Sweaters, Gloves, Caps, Socks Mufflers, T-shirts and Warmers and kid's sweaters, caps, scarves, 'Tufekian' Tibetan carpets and floral pieces, the market has the best in woolen wear on display. 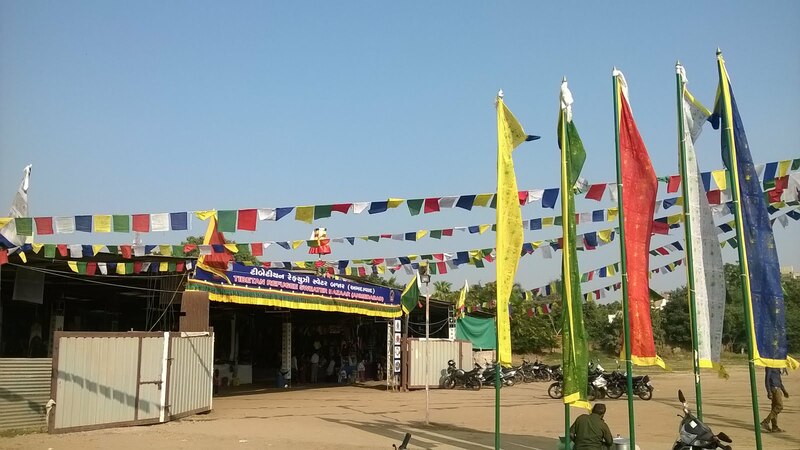 Also there are stalls selling statues, incense sticks, shawls, paintings and Tibetan artifacts, including jewelry and semiprecious stones. 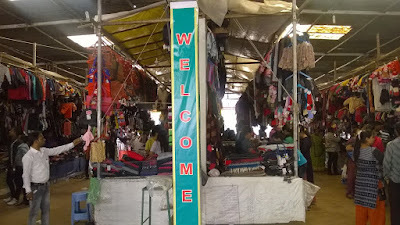 If you are looking for affordable and good quality woolens during winter, Tibetan Market is a must visit place for you. The rich color and lovely design of the garments represent the only basic character of the people of Tibet, Be Happy! Fixed and Affordable Rates depending on your Budget. What is timing of it? Any contact number or location details? this year where is the market......??? Actually price is very high there. Where 'll be the market this year and from when is it starting? Where ll be the market this year and from when 'll it start? We will update it soon. Thank you for the info but when is it starting? We have updated the address so please have a look. 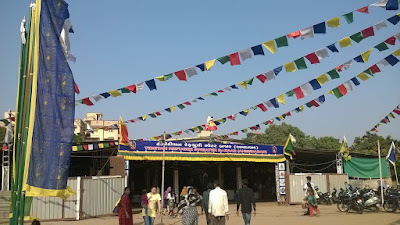 I heard there is another tibetan market in Gandhinagar (near infocity) this year. Pls confirm. Address For 2016 :- Opp.Of University Ground, Helmet Cross Road, Drive in Road, Ahmedabad - 380015. Can you swap dabit/credit card ? No they don't accept debit/credit cards. Some of them accept payments through PAYTM. But on safer side take cash with you. can anyone post Address for 2017? Tibetanbmarket is till which date? Very good post on Tibetan Markets, curious to know as to where would be the next location of the market. Q 10 to 8 pm visit kar sakte h.. 8 ke baad band ho jata hai kya? Is this Tibetian market started this year(2017-18)? If yes what is the location ? There are two markets in Ahmedabad and also divided shops like a to j in one market nd remaing are on other place. So one I know near helmet char rsta nd where is other one????? Tibetian market has started for 2017? Where is Tibetan market this year?? It is updated. Please have a look. Till what date it is continue? Kankaria Lake, Ahmedabad has got amazing new rides.........WOW!! !